The true movie favorite! 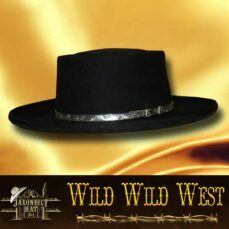 This beautiful black hat with the distinctive tall crown and “Hoppi” crease is sure to draw attention. 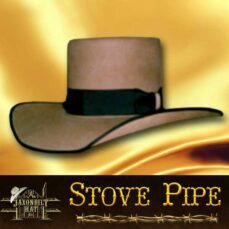 Black bound edge with it’s 3/4 curl will make the wearer the envy of all that see it. The crown is a full 6 1/2″ and the brim 4 3/8″ wide. 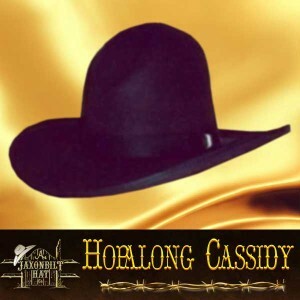 Beautiful in any color, but black is really the best if you are a true Hopalong Cassidy fan. Order today in 5X (Fine genuine fur felt), 10X (50% pure beaver), 50X (100% pure beaver) or 100X (100% sterling quality beaver). Conformer kit is yours free.